Savers’ ability to access the Budget pension freedoms is at risk of being hampered by harsh new penalties and growing amounts of legislative small print. New disclosure rules introduced to ensure the Government does not miss out on tax receipts have been branded “another bureaucratic exercise” by one technical pension specialist. Experts and politicians are also calling on the Government to show restraint in punishing individuals who break the rules – with fines potentially reaching thousands of pounds per person. Labour shadow financial secretary to the Treasury Cathy Jamieson told Money Marketing: “The uncertainty surrounding these reporting requirements is just the latest indication that the Government’s approach to these pension reforms has been rushed. At the same time, pension providers are mired in confusion over how to deal with members of final salary schemes who want to transfer out and take advantage of the greater flexibility now available in defined contribution schemes. Both the strict new administration burden for members and the reluctance of some major providers to accept transfers from DB schemes are further evidence that the Budget reforms may not live up to the public’s expectations. Part of the problem is the overlap between different Government departments’ initiatives. The Budget reforms fall under the Treasury as part of the Taxation of Pensions Bill, while the Department for Work and Pensions is pushing through the Pension Schemes Bill, through which the guidance guarantee will be made into law. The lack of oversight for all the pension reforms was apparent during a public committee evidence session on the Pension Schemes Bill last week. When asked by shadow pensions minister Gregg McClymont whether the new disclosure rules would “stand the test of time”, pensions minister Steve Webb dodged the question, saying they were a matter for the other Bill. George Osborne’s Budget freedoms have been a public relations success story for the Conservatives so far. But if members either find they are effectively barred from the freedoms, or face unexpected fines, the Government may find support drifting away the wrong side of the May election. The Government has found little support within the pensions industry for a new requirement for individual members to alert their pension providers when they access their pension flexibly. Experts warn the system will confuse members, the level of fines are harsh and the technical issue it is attempting to solve does not affect the vast majority of savers. The Taxation of Pensions Bill includes proposals for pension schemes and providers to alert members within 31 days of them accessing the Budget freedoms. Under the plans, members will be given a statement that tells them on what date they accessed their pension flexibly and that this will trigger special annual allowance rules. As part of the reforms, members who take advantage of the more flexible pensions system will be subject to a reduced annual allowance of £10,000, down from £40,000. Taking income from a flexi-access drawdown fund, taking a uncrystallised funds pension lump sum, taking a standalone lump sum or breaking capped drawdown limits will all trigger the cut. Any contributions made above the annual allowance are subject to a tax charge. In turn, members will be expected to pass on this information to all their other pension providers and schemes, also within 31 days. If they join a new scheme within the same year, they will need to notify that provider too. AJ Bell technical resources manager Gareth James explains why providers need the information. But the requirement itself isn’t the only new headache for savers to grapple with after April. The Government is also proposing a penalty structure for those individuals who fall foul of this duty, potentially running into thousands of pounds per person. Under the plans, if the information is not passed to all relevant providers within 31 days of the member receiving it, a penalty of up to £300 could be enforced by HMRC. If providers still have not been notified, the fine will increase by up to £60 a day “until the information is provided”. A member who fails to comply for a further month after the initial 31 days elapses could be forced to pay over £2,000. If the information turns out to be incorrect and “negligently or fraudulently provided”, an extra £3,000 fine could be also be added. An HMRC spokesperson confirmed the maximum penalty would only apply where the failure was “deliberate”. Talbot & Muir head of technical support Claire Trott says: “The reporting isn’t necessarily going to stop people over-contributing, so all this emphasis on the member having to report to all the individual parties seems excessive. Aegon regulatory strategy manager Kate Smith thinks members might be tempted to consolidate their pension pots to sidestep the hassle of contacting multiple providers. But she warns that people who do this will lose the option of taking three pots of £10,000 or less without triggering a cut in their annual allowance, under small pots rules. Experts say the Government should consider simpler solutions. Legal & General pensions strategy director Adrian Boulding says HMRC should step in to “mop up people who break the rules”, as they do with people who accidentally contribute to more than one Isa in a tax year. MGM’s Tully suggests a “declaration approach”, where members planning to pay in £10,000 tell the administrator if they are contributing to another scheme. The new reporting requirements may be onerous, but many savers in defined benefit schemes could find their route to accessing the freedoms blocked by providers before they even get to that stage – despite the pensions minister saying it is not their job to “override the preferences of the individual”. Pension providers are well aware of how regulations can be applied retrospectively when it comes to pension transfers. Compensation paid to people missold personal pensions in the late 1980s and early 1990s, for example, cost the industry billions. 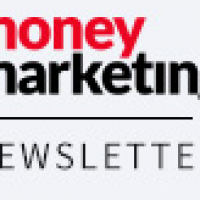 Earlier this month, Money Marketing revealed how some providers – including James Hay and Fidelity – would only accept transfers from DB schemes where the member had received a positive recommendation to transfer from a regulated adviser. From April, trustees and providers have a duty to ensure members see an adviser before moving from DB to DC schemes. However, pensions minister Steve Webb subsequently told Money Marketing providers should not be blocking members if they wanted to transfer. He said: “We recognise that for many people, staying in DB is the right thing to do but the reason we haven’t banned it is because ultimately we want informed consumers to decide what’s best for them. Providers have called on the FCA to give assurances accepting transfers from these “insistent” customers won’t come back to bite them. Fidelity Worldwide Investment retirement director Alan Higham says: “Providers remember the past pension transfer misselling rectification bill. It is a huge business risk to accept DB transfers without advice to do so. People who were advised not to but signed letters saying they wanted to do so anyway ended up being compensated. Likewise, James Hay marketing director Chris Smeaton says providers and advisers need greater protection from policymakers. He says: “We are reviewing our process at the moment but that does not mean we will necessarily change our current position. We cannot ignore the fact that past industry experience points to caveat emptor simply not applying. No amount of warnings are likely to deter an individual desperate for short-term cash from pursuing a course of action which has a long-term negative impact, which they later regret and for which they then seek redress. An FCA spokeswoman told Money Marketing accepting DB transfers was not a decision for the regulator. When pressed they would not give assurances providers could act without fear of future reprisal. The spokeswoman says: “Where an individual insists on going ahead with a DB to DC transfer, even when the advice is against it, then it is up to the receiving provider as to whether to accept the transfer. The fines proposed for those not disclosing that they have accessed their pensions scheme flexibly to all their pension schemes seem to me to be harsh and difficult to police. Although the initial fine could be seen as not significant, it could still be hard to find for a good number of pension savers, especially if they start to rack up the daily additional fine. Those hit hardest by these fines would be those least likely to be making the excess contributions they are designed to prevent. As ever, even with these enhanced requirements, it will not stop people contributing over their annual allowance if they want to, which the annual allowance charge is designed to mitigate anyway. Members of multiple schemes are most at risk of doing it accidentally, though providers will still be unaware of contributions being made to other schemes, so will not question contributions below £10,000. 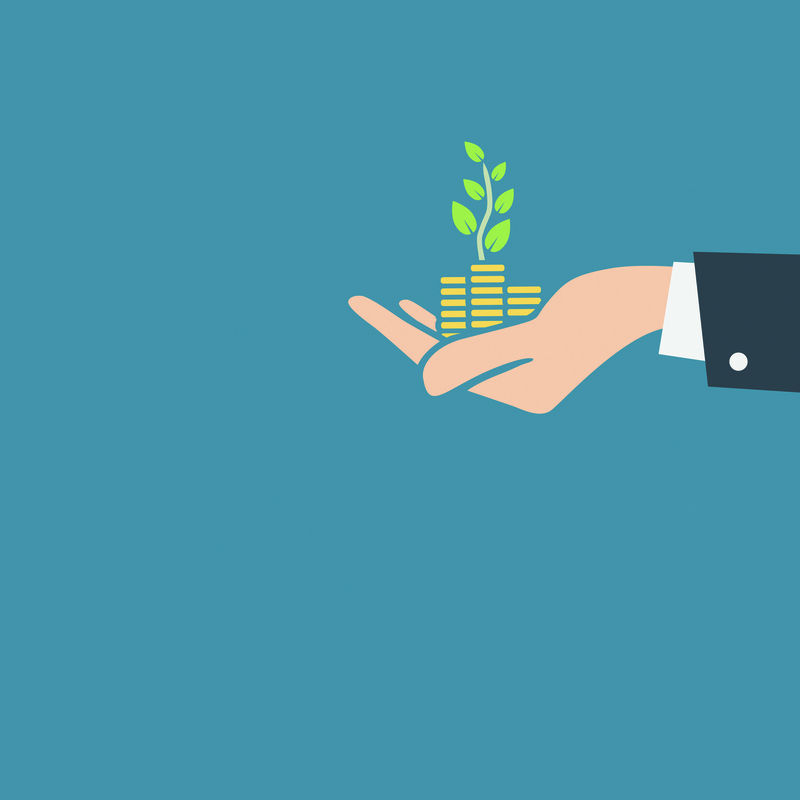 Once you add the complexity for those in a final salary scheme, many members will not be in a position, without good quality advice, to understand all the implications of just taking their lump sum from the scheme they set up a long time ago. All in all this measure seems unnecessary and unable to achieve what it was designed for, which is to prevent people from ignoring the Money Purchase Annual Allowance rules and not declaring their excess contributions to HMRC. This news will be a shock to consumers and could cause a number of problems, including making people too scared to withdraw money from their fund. The consequences of getting it wrong seem disproportionately large, and people may feel punished for having gaps in their knowledge. The proposals put the consumers in the firing line of heavy-handed legislation, and the forms people will need to fill in will undoubtedly be so complex they cause confusion, putting an extra burden on anyone simply wanting to use the new pension freedoms. The potential fines are huge, so this is a scenario where no one can afford not to seek professional advice. These latest announcements simply illustrate what a dog’s dinner the Government and regulators have made of the pensions market. In trying to solve one problem, they create another. People have been turned off pensions in droves. It’s no wonder the Government’s projecting that by 2030, one in three homes in the UK will be owned by buy-to-let landlords. If interest rates were set at proper levels then annuities would offer a decent return, pensions would be safer from political interference and the housing bubble would be able to deflate. By way of a comparative, the automatic penalty for using a mobile when driving, which has been protrayed in some instances to be as dangerous as driving while drunk, is a one off sum of £100, plus 3 points. Makes one wonder where HMG’s priorities lie…….. If you wonder where the priorities lie just compare the maximum fines and jail time available for financial crimes against violent crimes. Physically harm someone and you get a slap on the wrist but deny the government it’s taxes and it’s off to the tower indefinitely. Right on top of their game as usual. The fine is based on old HMRC legislation…it applies to fines in relation to administrative failings. In the good old days if you filed your AVR late you used to get hit with the same fine. @ Gordon – many thanks, I didn’t know that – I suppose at least it says they’re not plucked from thin air. That said, I still maintain that HMG’s comparative punative measures don’t inspire one with any feeling of a well balanced set of priorities. Surely we can’t be surprised that the government are bringing in rules and fines to stop recirculation of pension funds following a person accessing the new flexible pension arrangements. I would have though it to been a sensible approach to allowance to reduce the annual allowance from £40,000-£10,000 otherwise the scheme could be open to wide spread abuse. One question this does raise is surely the pension guidance system is completely and utterly doomed as the majority of people are not going to be able to understand these new rules based on a simple help sheet or scripted meeting with no advice. (Sorry I meant guidance)! Utterly disproportionate fines for people who are often unsophisticated and are usually accessing their pension to spend rather than reinvest. The Government are making policy on the hoof and coming up with quick fixes which are plain wrong. Why should someone failing to report this suffer any fine at all when there is no actual tax being avoided UNLESS they pay more than the £10,000? Surely, the solution is for all new pension contributions or increments(regular and lump sums) to be accepted only where the member has signed to say that the total of all contributions in that year is a) less than £40,000 if they have never taken a pension or b) less than £10,000 if they have already taken a pension. The person would then be signing to say this is the case and could then be prosecuted if they lie about it. What the hell is the point of making all people, providers and regulators have to deal with a new form to police? Ridiculous!! And as for Steve Webb saying to providers that it is not their place to block transfers because it is ultimately for the consumer to make an informed choice even if it is wrong…… what on earth is he saying? So if that is the case why do we have to give such in depth advice on pension transfers and why did providers have to pay £millions in redress for bad advice in the 1980s and 1990s. Seriously, what is Steve Webb thinking when he makes that comment? He would never get PI Insurance would he? Mr Webb should speak to the FCA who will refer him to COBS 19.1.6, which clearly states that the starting position for any firm is to assume that a DB transfer will not be suitable. It then needs to be demonstrated with contemporary evidence, that the transfer is in the best interests of the member. On rare occasions I have sanctioned transfers on this basis. COBS 19.1.19 requires the firm to advise the client in writing that they do not recommend a transfer. As far as I am concerned, that is the end of the line. The FCA are correct in their statement, it is not for them to decide whether transfers should be accepted, as the rules quoted above should be followed by all advisers before deciding to transfer. By not accepting insistent or execution only cases advisers and providers remove the risk, the only transfers should be positive recommendations. That is not to say that members are not capable of making informed decisions, it it their selective memory when things go wrong and they look for someone to blame. I agree with Brian Gannon’s comments. @BG – I second what Philip said! @Geoff – Thanks for that. I agree re COBs 19.1.6 assume transfer not suitable, but not clear on what your conclusion is with regard insistent clients and what you do as a firm (we don’t have permissions to do DB transfers). Do you mean you will not do a transfer for an insistent client? Philip – Yes, that is my position, having been on the wrong end of an FSA enforcement visit, fortunately for matters not on my watch at a previous firm which was then fined for SIPP transfer failings. At the end of the day it is my name on the case, my licence as an approved Pension Transfer Specialist, and I have had arguments with clients and advisers about decisions I have made. I back that up with 42 years experience, double Chartered and Fellowship status, 510 CII learning credits etc. Against that background, if there was a complaint at a later stage, I would be considered by the FOS to be an expert who should not have allowed the transfer, and would lose every time. I judge each case on it’s own merits, and there have been cases that deserved a sympathetic or practical approach, in one case a PLC chairman was desperate to leave the pension scheme of a former company, one year from retirement ,with a suppressed transfer value, so I classified him as a professional investor and ensured that he could not complain at a later stage. He thought he could do better in his SIPP so who am I to argue with a multi-millionaire? No doubt there will be cowboys out there who will hide behind execution only and insistent customer and collect juicy fees, at the risk of sounding arrogant my personal view is that if my advice is rejected, there is no client relationship. I only accept clients who value my services and will walk away from anything I am not comfortable with. I may not be as wealthy as a result, but I sleep at night. @Geoff, if only all advisers were as principled as you. Of course the reality is that WHEN the FCA effectively turn a blind eye towards insistent DB to DC transfers (for political reasons) a bunch of fly-by-nights will pop up to fill the void and will wind up their operations when the regulator starts enforcing its rules, after lots of damage has been done to former DB member interests and commissions paid. As a postscript to my comments above, the FCA advised that I should not compromise standards by changing my rules to allow an insistent transfer where it it so clearly unsuitable to do so. At the same time the owner of my firm, who is only interested in the 2k fee, is told by our compliance consultant that insistent transfers are fine, just do not do too many. If I allow one it will be the benchmark for every future case, and the new pension freedoms will only make it worse. If I stand my ground the working relationship is irreparably damaged, if I concede my professional integrity is tainted, not a positive outcome either way. What is needed is a consistent approach by the regulator and the industry, either way, so everyone knows where they stand.